Good communication with the host. Well-equipped flat. It was lovely to have a little outside area! Plus the location was amazing. So many bars and restaurants around the corner. Home from home. The kitchen is so well-equipped, you could cook up a storm in there. Ingredients for a healthy smoothy were left with the recipe and the juicer - a great way to start the day! Quite simply my best review to date. I even contacted the owners to thank directly. The best accommodation I've stayed in in Cheltenham. Car was close and safe in a central location, just really top drawer. The apartment was fabulous. We loved everything. The art on the walls, the super comfy beds, and the location is perfect. Excellent apartment, beautifully furnished with some nice artwork and pieces which made it feel more like a home than a rental. 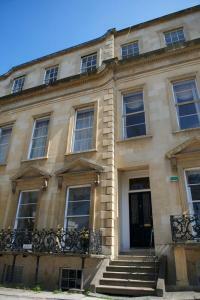 The accommodation was wonderful with everything we needed and very close to the centre of Cheltenham. The location was perfect for our needs. Comfortable, very well equipped apartment. The beds were very comfy, the location was excellent, everything was on our doorstep ,lovely area, restaurants and bars, the apartment was beautiful and spacious and spotlessly clean and everything was supplied and even right down to the lovely shower gel, body and hand lotion. Thomasz was an excellent host and met us on our arrival and was very helpful, courteous and polite and even on our departure he came to see us to ensure everything went well with our stay again he was very courteous and polite. We will definitely use the apartment again. Lock in a great price for 7 Royal Parade – rated 9.7 by recent guests! 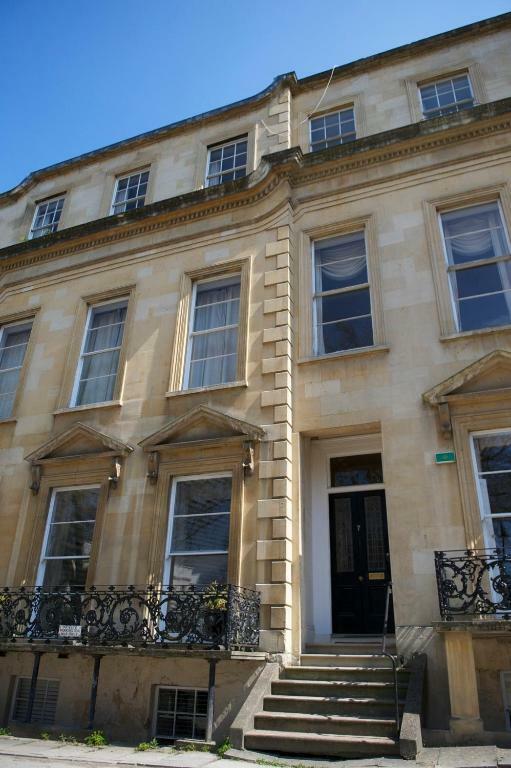 In Cheltenham’s fashionable Montpellier district, 7 Royal Parade provides elegant accommodations in this Regency spa town. Sleeping up to 6 guests, this 2-bedroom apartment has free on-site parking and Wi-Fi and a pretty patio garden. This 5-star rated apartment is a 3-minute drive from Cheltenham Art Gallery & Museum and the Everyman and Playhouse theaters. Cheltenham Racecourse is a 10-minute drive away, and Gloucester and Sudeley Castle are within 20 minutes. 뀐 Located in the top-rated area in Cheltenham, this property has an excellent location score of 9.9! When would you like to stay at 7 Royal Parade? This apartment has 2 double bedrooms, a fully equipped kitchen, lounge and patio with dining area. All the comforts of a luxury hotel in this two bedroom Regency era apartment. We're located in Montpellier, opposite the Malmaison Hotel with Cheltenham's best bars, shops and cafes nearby. Montpellier Gardens is the focal point of the area with its cafe, tennis courts, play area and even a skate board area. The area itself is renowned for its independently owned shops. The Suffolks area has developed a cool cafe culture with lots of interesting antique shops too. Stroll down the Promenade into the Town Centre for serious shopping with all the big brands you'd expect in a prosperous provincial town. House Rules 7 Royal Parade takes special requests – add in the next step! 7 Royal Parade accepts these cards and reserves the right to temporarily hold an amount prior to arrival. We stayed a couple of years ago and we had no problems its a nice flat but on the night we stayed in january this year there was a problem with the heating it was very noisy radiators were rattling most of time which was quite disturbing. Also the wooden toilet seat was cracked and needs replacing. We had 1 guest on the sofa bed and he said it was a bit too light in the morning. But other than that, nothing! Lovely log burner but no logs! Great place and amazing location. Ideal all round. Cannot think of anything that needs changed.